Around the world, advocates, journalists, community workers, diplomats and girls are sounding a rallying cry against early and forced marriage. Thousands of people have demonstrated against a proposed bill in Turkey that would have allowed men accused of sexually abusing girls to avoid punishment — by marrying them. That law has now been sent back to committee for civil society to weigh in. Kyrgyzstan just passed a law that addresses the number of young girls who are married before the age of 18. 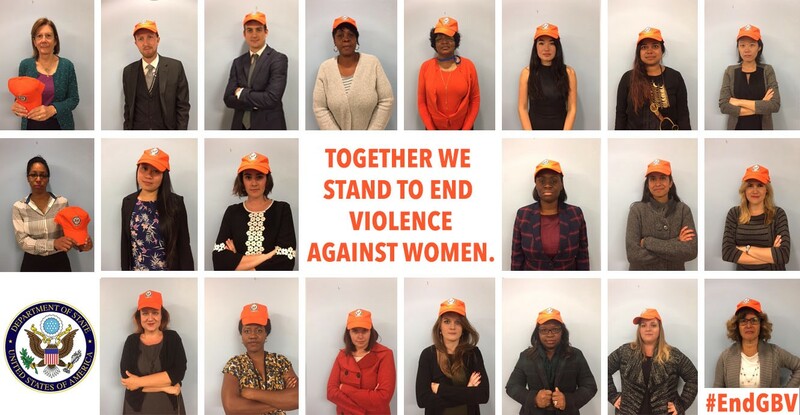 And activists around the world — from Jakarta to Harare — are using the 16 Days of Activism to call for governments to take the next step on this issue. That’s a call that is now sounding in the Western Hemisphere, where we need to take the next step — together — to address both the causes and the effects of child marriage and motherhood. In more than a few ways, this region is behind others around the world in tackling this issue. Parts of the Americas are seeing an increase, not a decline, in early and forced marriage, and we don’t have the research or the programming found in regions like south Asia or Africa. The research we do have tells us that we ignore this issue at our own peril, because the cycle does not stop on its own. Early and forced marriage can perpetuate poverty and keep girls and any children they have from getting the education they need to succeed. The good news is that the region isn’t starting from scratch. There’s already a viable legal framework, with laws on the books that address early and forced marriage in many countries, which means we can move forward with raising awareness of these laws and improving their implementation. The United States also has a foundation in place to guide our own engagement on this issue. Earlier this year, Secretary Kerry launched a U.S. global strategy focused on a range of challenges facing adolescent girls, including early and forced marriage and motherhood. Within the region, we’re working to get at some of the root causes by strengthening justice sectors, supporting survivors of gender-based violence, and raising awareness of women’s rights. We’re working to increase access to education for girls and reaching out to people who have often been marginalized — including indigenous communities and people of African descent. In Brazil, which has the most child brides in the region, the United States is working with UNICEF to give girls the support they need to reach their full potential. Through our program, adolescent girls are meeting mentors from different professions. They’re learning about entrepreneurship and innovation. And they’re using art and creative expression to tackle gender-based stereotypes. As proud as we are of these projects, there is no question that we need to do more. As proud as we are of these projects, there is no question that we need to do more, particularly because of how this issue aligns with our strategic interests. We’ve seen time and again that when women and girls do better, countries do better as well. 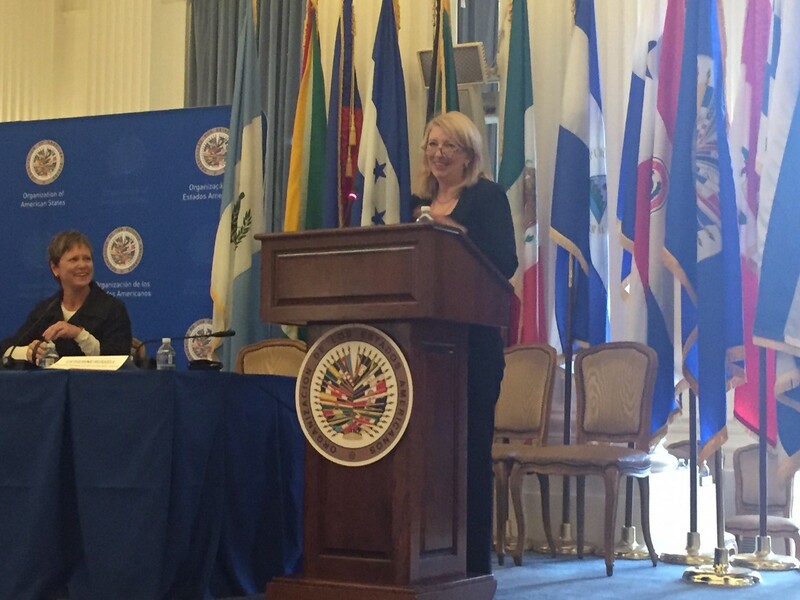 That means our broader shared goals for the Western Hemisphere — security, prosperity, and good governance — are deeply connected to the issues of child marriage and motherhood. In other words, addressing early and forced marriage in the region is very much in our interests. It’s in our interest for laws around early marriage to be respected and implemented. It’s in our interest for girls to get the education they need to earn money and eventually invest it in their own children’s health and education. And it’s certainly in our interest to see an end to the many forms of gender-based violence that fuel insecurity in homes, neighborhoods and communities. But what will it take for us to see these outcomes? Earlier today, I spoke at an event focused on early and forced marriage in the region, where I offered three ideas for how we make progress on these issues. First, we need more research. No problem can be solved without a full understanding of the causes and remedies. So we have to keep asking, what is driving this issue here, as opposed to other places? And how is it best addressed under the different circumstances we see in the region? Second, countries need to put these issues on their policy agendas. The U.S. strategy on adolescent girls has been a valuable tool for us to bring together different parts of the U.S. government to plan and develop action on behalf of adolescent girls. The strategy ensures that this work will continue into the next Administration. Other governments should consider using this as a tool to address the challenges facing adolescent girls, and do it in a comprehensive way. Policymakers and activists are critical, but we know we can’t do this work alone. Third, we need to find ways to rally everyone around this issue. Policymakers and activists are critical, but we know we can’t do this work alone. We need community leaders and business owners, parents and teachers, and girls and boys themselves to be a part of our effort going forward. One of my favorite things about our strategy is that it features photos from Stephanie Sinclair. As a photojournalist, she is able to communicate issues like child marriage in a way that words — and certainly policy documents — simply cannot. We need more people like Stephanie to bring their individual skills to this issue and inspire others to join us. I’ve met countless activists working on this issue, including adolescent girls. One who has always stuck out to me is Jimena, who was born to two teenage parents in Guatemala. By the age of eight, she was already a leader in her community, teaching other girls about human rights, education, and sexual and reproductive health. 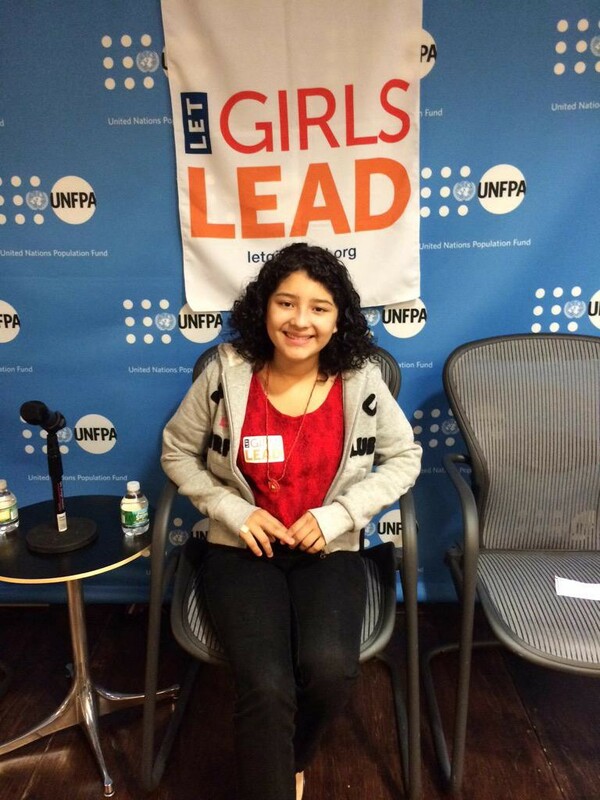 By the time she was 12, Jimena was speaking at events on the margins of the Commission on the Status of Women at the UN. That’s where I met her. Her words are a reminder that we do this work for many reasons. Some boil down to strategy and planning: we take action on child marriage because it’s in our best interests as countries or a region as a whole. But we also take action on child marriage because it’s in the best interests of girls themselves. That’s why it’s critical that we work on girls’ issues not out of pity, but in partnership; that we listen to them and give them a platform to speak for themselves; and that we answer the call to do better and do more to end early and forced marriage in the Americas. This entry also appears on DipNote, the U.S. Department of State’s Official Blog.